Relaxation. When you can temporarily escape to a stress-free zone, such as the spa, your body instantly changes its biochemical balance. The stress-hormone production decreases, you blood pressure lowers, and your mind can take a break. Medical studies show that many diseases and ailments can be linked to stress and an overproduction of stress-related hormones. Massages. What a wonderful way to release the tension of the week and unwind is with a message by one of our experienced therapists. A massage can help restore healthy circulation and to unwind knots which in turn release stored toxins such as lactic acid. All this combined can allow your body to naturally detox and become revitalized. Feel-Good Hormones. As you relax with the massage of your choice, your body will release “feel-good hormones” which have been linked to positive feelings and emotions. Massages are even now being prescribed for over-stressed patients to provide natural relief for their anxiety! 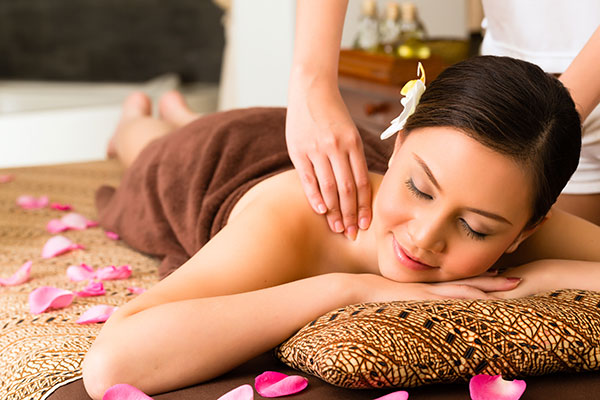 Whether it’s a pregnancy massage, a deep tissue massage or hot stone therapy, we have a wide array of spa services to ensure your visit with us is relaxing and sure to turn into regular treats as life gets the best of you. For an appointment, we can be reached at 610.687.2020 or see us at the salon at Eagle Village Shops, 205 Lancaster Ave #2, Wayne, PA 19087. Want to make an appointment instantly? Use our app! Our app is available through the Apple Store, Google Play, or Amazon.